WWKIP This Coming Saturday! — Three locations! 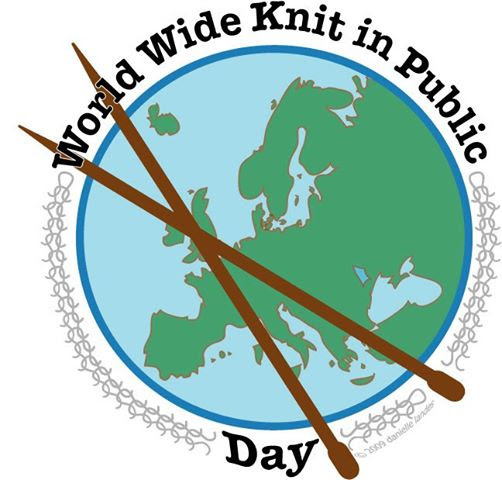 World Wide Knit in Public – CrochetToo! (WWKIP) will be this coming Saturday, June 18. 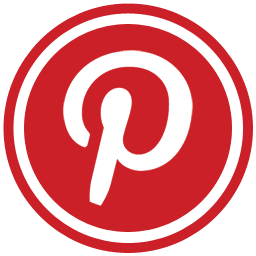 We will meet from 10 am – 12 noon in the food court area at each mall to visit and knit or crochet! What a GREAT way to spend a hot June morning! AND — we will have a great door prize at each location! One work day is planned this month: Tuesday, June 21 from 10 am – 2 pm. Lunch, fiber and fun will be provided. We will be caking yarn donated since the April Big Stitch as well as organizing patterns, hooks, needles and magazines. NOTE: This will be our last work day before theJuly 9 Big Stitch. Let me know if you can attend by emailing kandctn@gmail.com. Yarn keeps coming in for the Big Stitch Boutique along with patterns, magazines, books, hooks and needles. 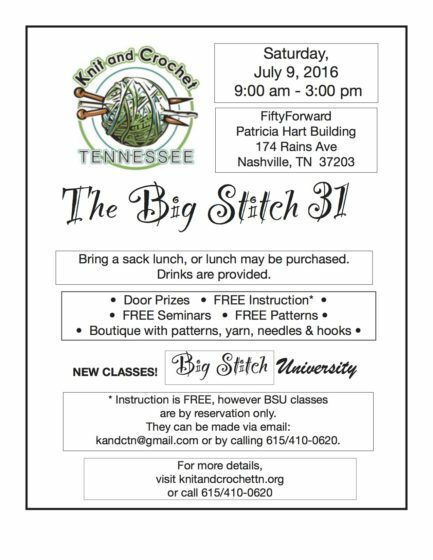 Big Stitch University classes are being finalized. The schedule should be out in the next two weeks. The website is being changed for easier usage and to accommodate an exciting announcement that will be made at the July Big Stitch!!!! Fifty baby blankets and hats were donated this past week to Neighborhood Health for their Strong Start Program. Twelve afghans were given to the Vanderbilt Neuro Department for their bereavement packages. Additionally, a local gentleman has donated 15 afghans that his late mother had crocheted for donation to Vanderbilt. 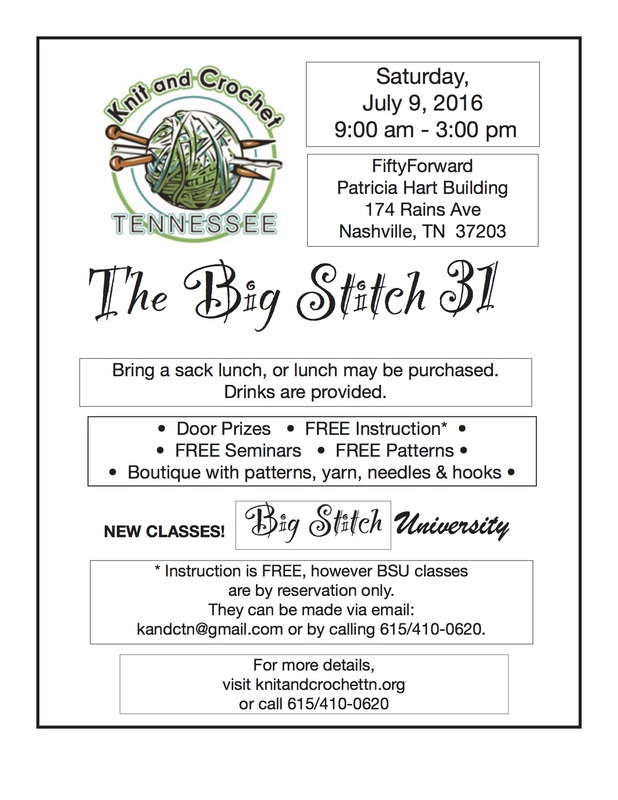 Stay in during this warm weather and knit and crochet! Hope to see you at one of the WWKIP locations this Saturday.